Expattaxes (part of GVN International Tax Services) is your gateway to expat tax consultancy and compliance in The Netherlands. We offer various tax services and general expatriate services for (self-employed) expats in The Netherlands and abroad. 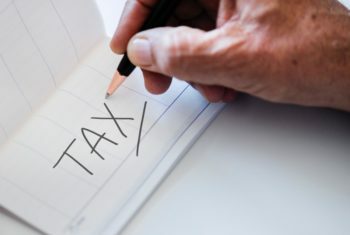 Our team of experienced international tax lawyers and consultants are dedicated professionals guiding you through the legislative wilderness of taxation and the practical issues of residing and investing in The Netherlands. We are specialised in cross border tax issues such as expat immigration and immigration of self employed individuals with and without (foreign) corporate entities. Forget about high prices, low-service attitude and lengthy forms. TaxDirect will help with filing your Dutch tax return. Online and open in the evenings/weekends. Book your appointment directly online. Income Tax Filing €135. Blue Umbrella assists internationals to manage their Dutch tax matters. Affordable, conveniently on-line and transparent. Tax return, tax compliance and childcare subsidy. Located in central Amsterdam, Broadstreet offers financial services including tax support, accountancy and payroll solutions. They help expats by offering services such as 30% ruling, cross border secondment, payroll and tax planning. J.C. Suurmond & zn. Tax consultants – trusted advisors since 1986, serving expats in the Netherlands by successfully reducing their tax liability. Tysma Lems is a tax advisory firm focused on the support of global citizens. Specialized in 30% ruling, income tax, social security matters and insurance, pensions and inheritance tax laws.